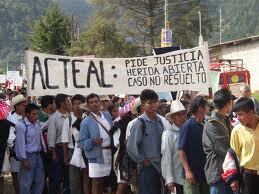 On 6 October, the U.S. Supreme Court (SCOTUS) rejected an appeal that had been submitted by 10 individuals against the former Mexican president Ernesto Zedillo Ponce de León (1994-2000) for his responsibility in the Acteal massacre (December 1997), which left 45 dead in Chiapas state. SCOTUS did not justify its decision; instead it simply upheld the decision made in February 2013 by a federal judge in Connecticut, holding that Zedillo has political immunity as a former head of state. The initial demand had been presented in 2011 in Hartford, Connecticut, accusing Ernesto Zedillo of having covered up the events of the massacre. The case was submitted in Connecticut because that is where he resides, being a professor at Yale University. Plaintiffs had demanded compensation of $50 million for relatives of the victims of the massacre. 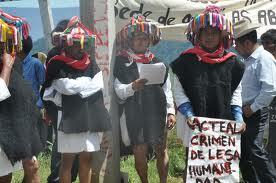 In a large post-script, Marcos challenged the commercial media and a number of articles which have been published in anticipation of the anniversary of the armed uprising: “if the conditions of the Zapatista indigenous communities are the same as they were 20 years ago and no living conditions have improved, why is the EZLN opening its escuelita so that people from below see it and come to know it directly, without intermediaries? 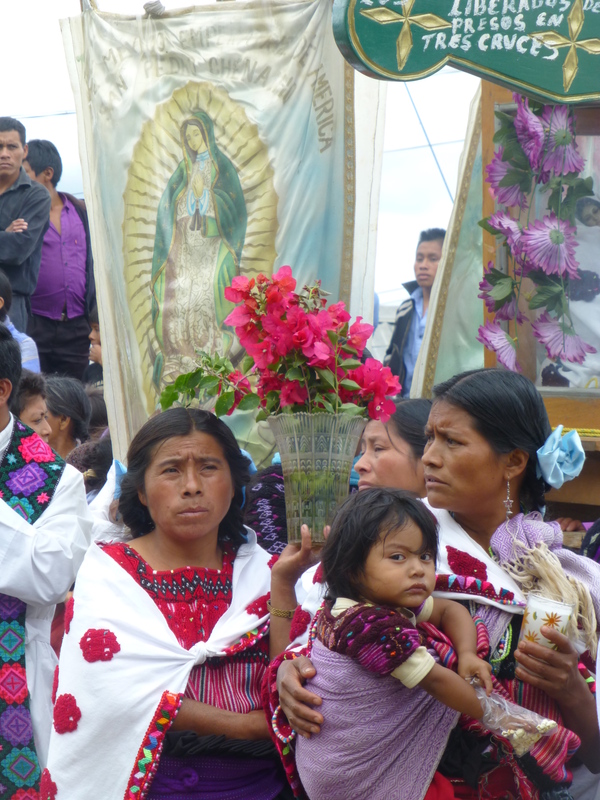 […] You ask what the EZLN has done for indigenous communities. 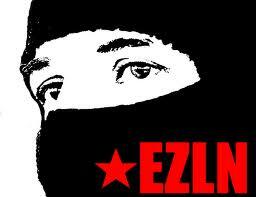 And we are responding with the direct testimony of tens of thousands of our comrades.” It should be recalled that, just earlier, Subcomandante Moisés announced that the press will not be invited to the Zapatista celebrations. Beyond this, Las Abejas warned of the violence that has gripped “the Puebla Colony [neighborhood] with the pretext over a dispute over land belonging to the Catholic Church […] just as in the year 1997.” Explaining, they noted, “The violent actions of the communal authorities of the Puebla Col., upon destroying the project of reconstruction of a Catholic church on Thursday 18 July, and the physical aggression and torture of 3 persons on 20 July, is a clear message expressing hatred and violence. What is taking place in the Puebla Col. is not a game. 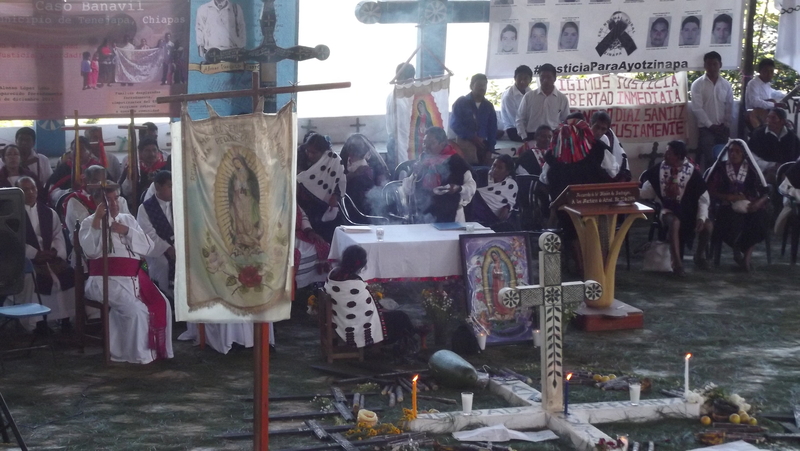 It is for this reason that we are concerned, and we worry for the lives of the Catholics and of our comrades from the Las Abejas Civil Society, as well as all those who do not agree with the violence, as in the case of a Baptist in the Puebla Col., who for the mere reason of refusing to participate in the violence was beaten.” Las Abejas affirmed that these acts derive from the impunity that prevails in the Acteal case, “because the paramilitaries have now seen that to rob and kill is not punished; on the contrary, they receive prizes from the government.” They requested “urgently to the competent authorities to provide their immediate attention to the conflict over land […] using peaceful means, without more pretexts and dawdling,” as well as punishment of those responsible for the aggresion against Mariano Méndez Méndez, Luciano Méndez Hernández, and Juan López Méndez. 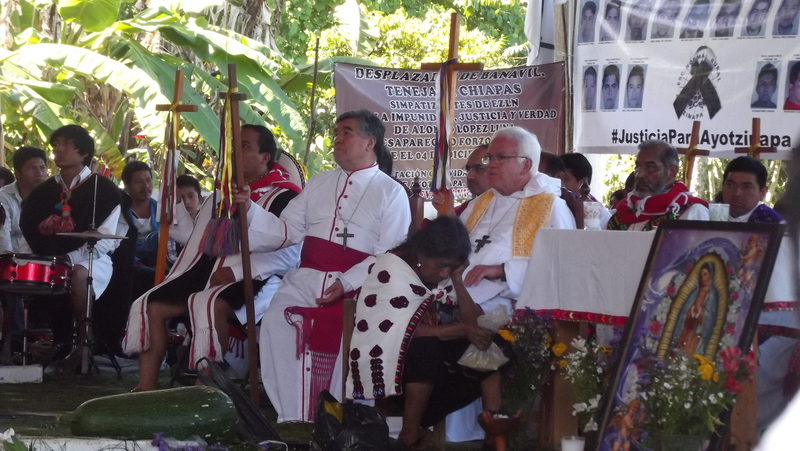 Finally, they called for the continuation of the struggle for the release of Alberto Patishtán and congratulated their “Zapatista brothers and sisters,” wishing them “much health and strength so that it goes well for them in the little school,” as for the organization made jointly with other indigenous groups from the Itinerant Cathedral “Tata Juan Chávez Alonso,” who desire to participate.